Lowering expectations, Iowa’s two Republican senators say the long-promised repeal of “Obamacare” is unlikely, and any final agreement with the Republican-controlled House is uncertain. The comments Tuesday by Sens. 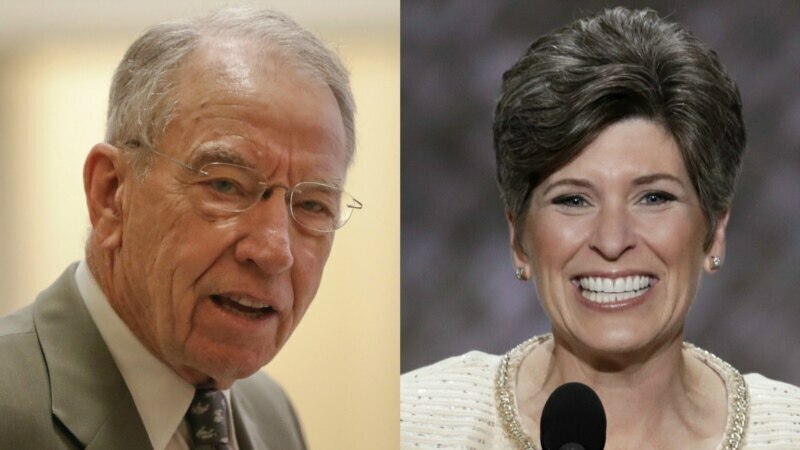 Chuck Grassley and Joni Ernst come as the Republican-controlled Senate moves forward on its work to dismantle the 2010 health care bill while facing conflicting demands within their own party and lockstep Democratic opposition. Both senators are active players in the health care debate. “You can’t repeal it in its entirety,” Ernst told reporters after a joint appearance with Grassley in suburban Des Moines.